Putting tapes and gel-pads into place or lifting lids or for taping down the bottom lashes for clients with very hooded eyelids. Clean removal and minimal hair pulling. Be gentle when removing the tape as it is very sticky. You can cut and shape the tape and often only a tiny piece or strip is needed. 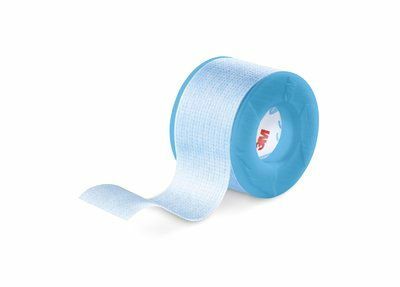 *Unlike any medical tape you have used before. Ideal for eyelash extensions around the sensitive eye area. Need advice about Micropore Silicone tape 2,5 cm x 5m?